Currently viewing the tag: "hand tool"
Whether you want to keep track of a bunch of stuff or tell people who made it, there isn’t much simpler than using a number and letter stamping set. These hardened steel stamps can be used on wood and softer metals like brass and aluminum. You probably want a 36-piece set, which usually has stamps for A through Z, 0 through 8 (9 is 6 upside down), and an ampersand. The stamps sets come in several different character sizes such as 1/8″, 1/4″, or 3/8″. 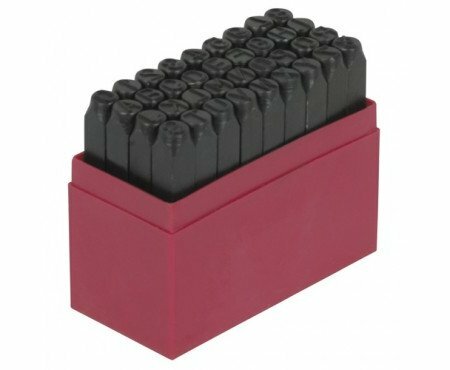 The 36 piece 1/4″ letter and number stamping set from Harbor Freight will run you $11, while online similar sets will run you $25 or more. 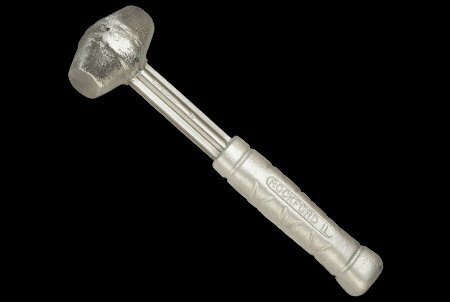 If you need to persuade something into position but you don’t want to damage it, a lead hammer is the tool you need. Sure, a dead blow mallet can do the job, but nothing else can give you the same force-per-size ratio as lead — except possibly depleted uranium, though getting that shipped to your house could be tricky. American Hammer’s lead hammers are made with a hollow steel shank that ends in a ring shape inside the head. 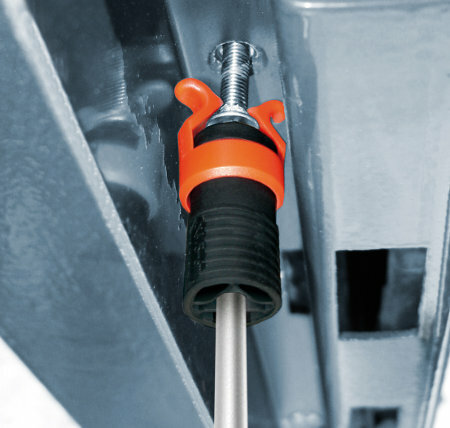 As you use the hammer, the head fuses to the handle so it won’t loosen or break off. The other end of the shank attaches to a solid aluminum cast handle. 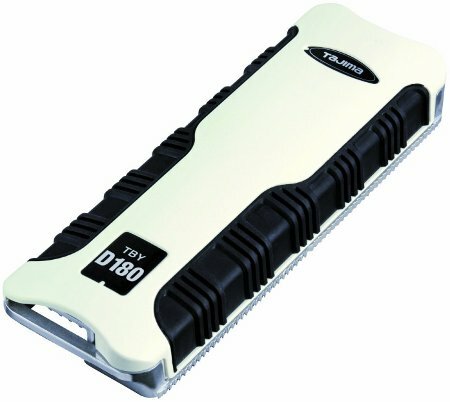 If you are frustrated by your current drywall rasp, Tajima Tool might have come up with a better one. Their 7″ long Combination Drywall Rasp has three different clog-free sections for shaping, beveling, and spot grinding. 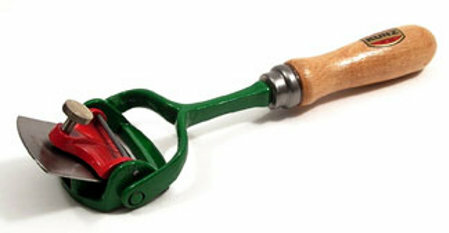 Another replica of an old Stanley tool, the Kunz #70 Box Scraper is so named because it was primarily used to scrape the labels and painted brands from wooden shipping creates so they could be reused. Designed to be pulled, the 10″ long scraper pivots around the wooden handle. 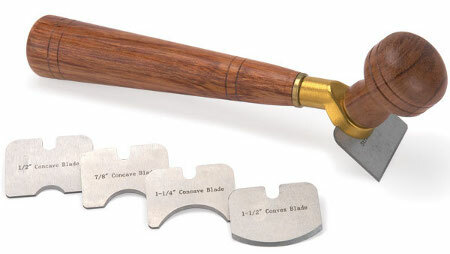 The 1-7/8″ wide convex blade can be used for rough scraping or removing paint. Those clear plastic guards that come with some chisels are way too easy to lose. Only friction holds them in place and they’re so light, you can’t hear them drop to the floor and bounce under the bench — and you’ll never spot them before the vacuum gets them. And sure they may protect the chisel edge from a few bumps, but how much protection would they actually provide if you dropped the chisel? Stainless steel does not rust. However, if conventional steel tools are used on stainless steel elements or stainless steel screws the wear debris of these tools can adhere to the surface an begin to rust. This effect, known as extraneous rust, can impair the visual impact and even cause structural damage, resulting in high costs for the necessary repair work. This sounds all well and good, but stainless steel screwdrivers aren’t as hard as screwdrivers made from other materials, so Wera solves this with their new vacuum ice hardening process. If I understand the process correctly, they allow the steel to cool in a cryogenic vacuum chamber.